The presence and participation of the San Antonio Patriot Guard Riders has been requested to take part in this joyous event. 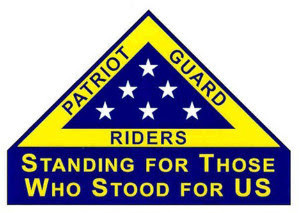 We have been asked to ride a procession and stand a Flag Line for the veteran and family to participate in a “Key Awarding Ceremony” presented by Pulte Group/Built-To-Honor. This ceremony will be the final presentation of a specially adapted mortgage free home for U.S. Army Sargent First Class Tara Hutchinson. Tara Hutchinson has over a decade of service as a Military Police Officer in the U.S. Army. She was severely wounded on Valentine’s Day 2006 while serving in Iraq. Her truck was hit by an explosive device with the damage ultimately resulting in the amputation of her right leg and permanent brain injury.